Our dedicated team provides personalised book and catalogue print and binding services. We can facilitate all of your print and binding requirements - whatever the size, run length or page count. If you want help with book and/or cover design or typesetting, our artroom can assist you through the entire process. We can also offer recommendations for photography and proof reading. Perfect bound (paperback books) are your typical novel style book. They have a square spine that can be printed on. This is the MOST popular style of book we print as they are cost effective and fast to produce. Case bound books or (hard cover books) are durable books that are typically full colour and can have a dust jacket. They are the crème de la crème of the printed book, and for some projects this is the perfect choice. Spiral Bound or (wire bound books) are useful when you want your book to lay flat like a recipe book or a diary. The binding comes in either plastic or metal with a range of colour choices to suit each publication. Saddle stitched books are soft cover books with a cover that is heavier than the text and has no spine; this is used for books with small page numbers. The page count needs to be divisible by 4 so the booklet forms correctly. There are a few key factors to consider when printing and binding books, catalogues and the like. Here are some things to consider when asking for a quote or planning you next print project. Will the document use full colour throughout? Do some pages need to be feature colour pages while the rest stay in black and white? Is the document simply black and white throughout? Is only the cover going to be in colour? Are there any colour critical images? Do you want/need tabbed section dividers? How important is page durability and finish? Is this document a unique size or shape? Do you need us to typeset? 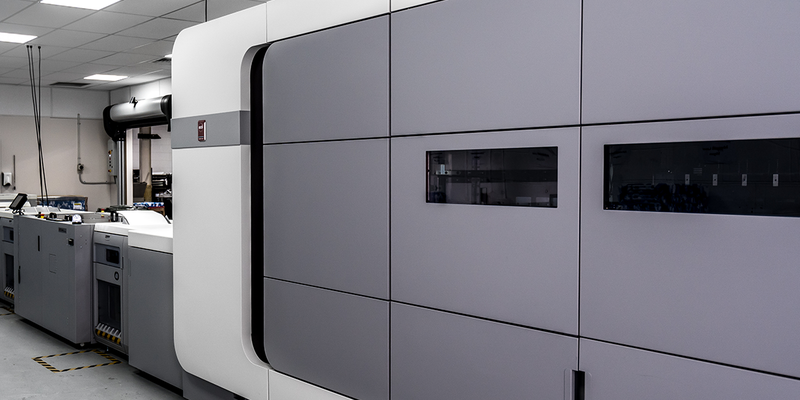 The next generation in digital print is the Oce VarioPrint i300. It prints, binds, and trims all in one go and we have the ONLY one in the country! This specialist book printing press can save you time and money, helping to make your print budget go further. Plus the quality is spectacular.